It's mostly thanks to a circumstantial social circle but, when it comes to making her own records, Basia Bulat has a thing for Arcade Fire. The distinctive Toronto-based singer is renowned for her impassioned voice and emotive songwriting and her first two albums, 2007's "Oh, My Darling" and 2010's "Heart of My Own," were each nominated for Canada's prestigious Polaris Music Prize. Former Arcade Fire drummer Howard Bilerman engineered both records in Montreal and he ended up mixing part of Bulat's latest, "Tall Tall Shadow," which was produced by Arcade Fire's Tim Kingsbury and the band's Grammy-winning engineer Mark Lawson. "That's probably true of a lot of albums made in Montreal," Bulat laughs when asked about her personnel choices and their connection to the world's biggest indie-rock band. "Tim played bass on my last record. I've always played with family and friends and that's always been important to me. That's just the way it is." "The really fun part of it is, we were this really cool team and they're very open-minded and into trying stuff out," she adds. "They're also people who knew my work and what I was trying to do and challenged me when I needed it." Indeed, there are aspects of "Tall Tall Shadow," which was made in a Toronto dance hall, that mark subtle sonic departures for a musician known for toting autoharps. She didn't cash in on EDM or anything, but the pop craft of a song like "Promise Not to Think About Love" with its bouncy bass and handclaps is definitely something that Bulat identifies as willfully "danceable." “We were all on the same page and it always really came down to 'what's the best way to tell the story of the song? '," she explains, crediting her production team. "That was the main focus. We experimented a lot and tried different arrangements for the songs and at the end of the day, you go with your gut." The mood and motifs on "Tall Tall Shadow" are also particularly striking. The title track (which Bulat says encapsulates the album's intent) and its imagery of a tall shadow cast over someone feels simultaneously damning and fawning. "I fell in love with the idea of something that seems ominous but then can take on a different meaning if it's sung in a major key and becomes something empowering," she says. "Most of the record is about these worlds of shadow and light and the space between the two of them. Light can be harsh and beautiful but the same thing can be said about shadow and darkness and that’s where these songs are living, in that world." "The songs on this record are a lot more personal and coming from a place where I was still working through losing somebody close to me," she elaborates. "I was thinking about a way to be honest about that place but still make something hopeful or beautiful at the same time. So that's why there is a literal light and shadow and a more metaphorical one throughout the record." Looking beyond "Tall Tall Shadow," Bulat says she has a few songs written in their early stages but the experience of making this record and going with the flow means the accomplished multi-instrumentalist can really do anything she wants. She's so empowered and ready for any challenge, Bulat may even re-visit her days in school band and break out some alto sax. "Everyone's making sax records now so it'd seem like I was just jumping on the bandwagon," she laughs, bringing Colin Stetson and yes, Arcade Fire to mind. "You know what? I probably will do that and it will be very fun. That's where my head's at right now." 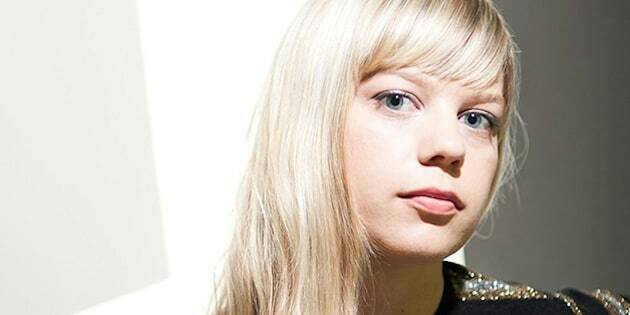 Basia Bulat's current tour includes a three-night stand at Toronto's Polish Combatant's Hall, Oct. 10, 11, and 12. Listen to this entire interview on the Kreative Kontrol with Vish Khanna podcast.